The Quick and Dirty series gives listeners tips in a bite sized format. Certified dog behavior consultant Jolanta Benal provides advice on topics ranging from basic training to dispelling common dog training myths. Bonus: episodes are 10 minutes or less and are filled with actionable tips making it a must-listen for even the busiest dog parent. “The Queen of Rock ‘n’ Roll Dogs”, Sam Ratcliffe-D’Arrigo hosts the weekly show live from Las Vegas. The podcast features interviews with leaders in areas such as animal rescue, pet health and businesses that are helping to make the lives of pets and their human family happier and healthier….all with a Rock n’ Roll vibe! Love to cook? Why not cook for your dog? Kristi Von is the owner of an all natural dog treat business and every week she discusses how to create wholesome treats for your furry family members. Deborah Wolfe hosts a call in show that explores hot topics such as breed bans, homeopathy for pets and more. It’s a podcast that will educate and entertain listeners so they can make informed decisions. You can even email Deborah if you have pet behavior questions and she will help you solve them on air. What happens when comedians need help with their pets? This podcast is what happens “when a hip young veterinarian is dating a professional comedian”. Top NYC comedians call in with stories about their pets and learn about health issues ranging from skin cancer to heat stroke. 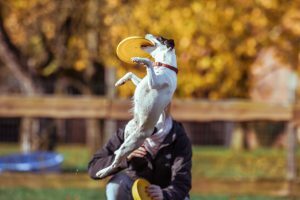 Interested in agility, rally or other dog sports? Then you *need* to listen to this podcast. Every week Melissa Breau (of the Fenzi Dog Sports Academy) hosts stars in dog sport like US Dog Agility finalists Loretta Mueller to tackle training issues, positive approaches to training and more. Emphasizing the science behind dog behavior, Eric Brad approaches dog training by using positive rewards and modern techniques. This podcast is perfect for novice dog trainers or individuals who want to better understand how dogs learn. 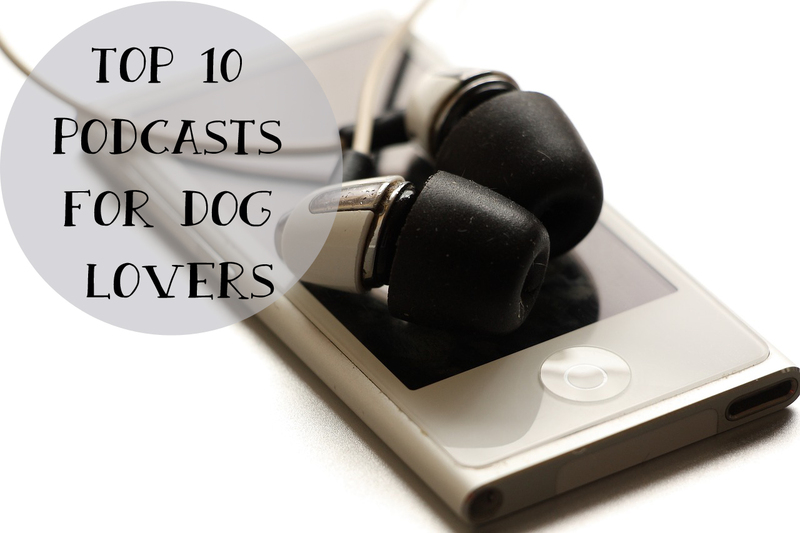 No list would be complete without Dr. Ian Dunbar’s iWoof podcast. This renowned vet, animal behaviorist and dog trainer has worked with dogs for over 30 years. Dr. Dunbar was the first to develop puppy specific training classes and therefore, iWoof is particularly helpful if you’ve recently added a puppy to your family! Are you a techie? 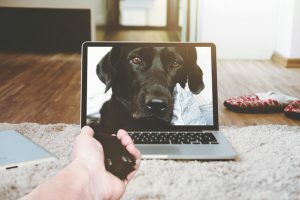 Pet Lover Geek is where the love of pets and technology collide. Hosted by Lorien Clemens, this podcast shares the innovative and quirky technology for your furry friends. Tracie Hotchner’s weekly podcast features travel tips for dog lovers. From RV travel to summer activities to do with your dog, this is unique show is not to be missed.